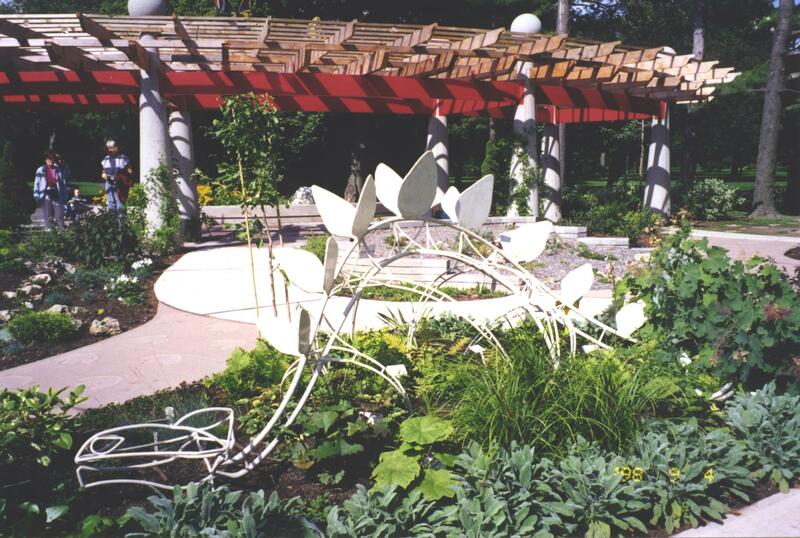 The aim of the Garden Club was to create a working garden at Edwards Gardens that would interest and educate children in the love and values of gardening. Volunteers from the Toronto Botanical Garden lead visitors and school classes through theme gardens of prairie, alpine and herbal plants. Rainbow and Alphabet gardens display spirals of colour and plants from A-Z and composting boxes exhibit concern for the environment. Individual plots including raised beds for wheelchairs, allow all children to experience fully the joys of growing and harvesting their own flowers and vegetables.